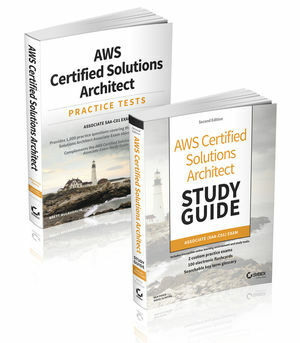 If you're looking to take the AWS Certified Solutions Architect Associate exam, this kit is what you need for comprehensive content and robust study tools that will help you gain an edge on exam day. David Clinton (Toronto, Ontario) is a system administrator, teacher, and writer. 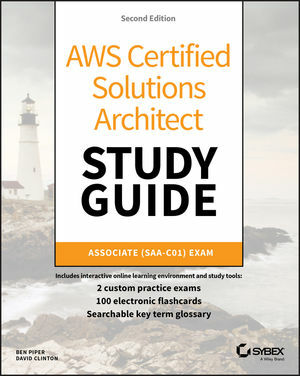 He has administered, written about, and created training material for many important technology subjects including Linux systems, cloud computing (AWS in particular), and container technologies like Docker. He's the author of Learn Amazon Web Services in a Month of Lunches (Manning, 2017) and Linux in Action (Manning, 2018). Many of his video training courses can be found on Pluralsight.com, and links to his other books (on Linux administration and server virtualization) can be found at bootstrap-it.com. 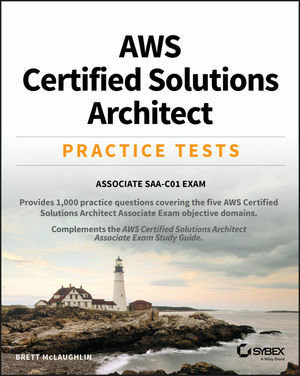 Ben Piper (Summerville, SC) is an IT consultant who has authored over 20 courses covering Amazon Web Services, networking, Puppet, and Windows Server Administration. You can contact Ben by visiting his website, benpiper.com. Brett McLaughlin (Dallas, TX) has been working in technology for over 20 years. Today, Brett works in cloud computing, focusing on scalable cloud platforms and staging and distributing petabyte-scale data stores. His experience leading projects on contracts with NASA and Amazon Web Services in particular has given him unique vision and expertise in the practical concerns of cloud-based architectures and large data sets. Throughout, he remains a hands-on, informed leader with the ability to program and fix problems with his own hands, while still staying focused on defining and executing large visions within extraordinary organizations and with teams ranging from 1 to 100. Brett is the author of Java and XML (O'Reilly Media) as well as a number of additional books on programming and XML, most notably Head First Object-Oriented Analysis and Design (also O'Reilly Media).